It may be Super Bowl weekend, but I find myself not very excited about this year's matchup between the New Orleans Saints Los Angeles Rams and New England Patriots. The fact the Rams got in on a technicality has kind of tainted the game for me and believe it or not I absolutely can't stand the Patriots. That's why decided to put together my first 2019 Dallas Cowboys mock draft instead. For this exercise I decided to use Fanspeak's Mock Draft Stimulator and Matt Miller's big board. It's doubtful Miller's big board is set in stone at this point, meaning players current position in his draft rankings will surely rise and fall leading up to draft day. But, it's still fun to speculate which players the Dallas Cowboys could select. 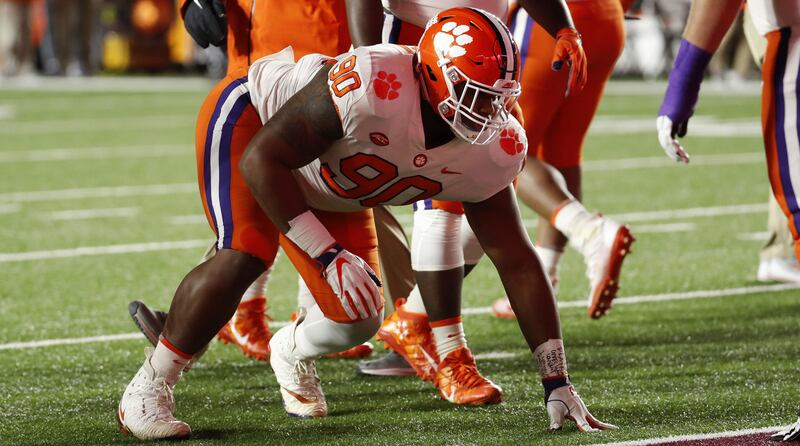 If Dexter Lawrence somehow falls to the Dallas Cowboys in the second-round, he would be hard to pass up in my opinion. 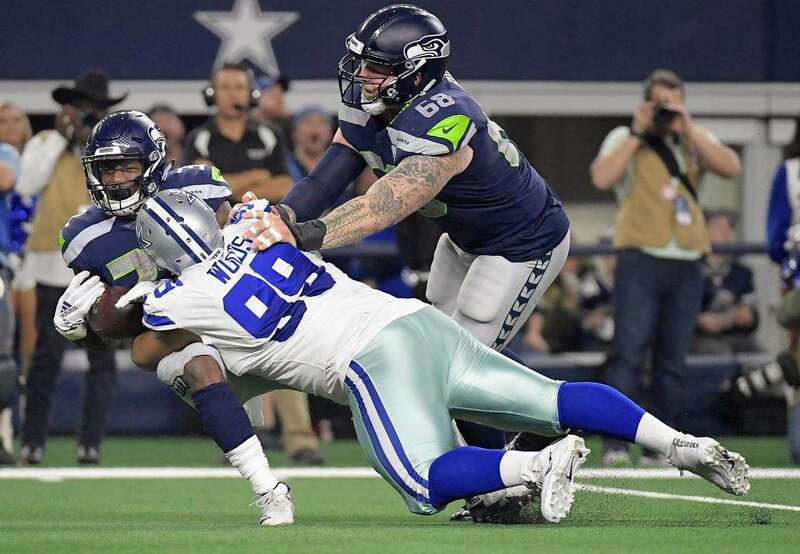 At 6'3", 340 pounds, Lawrence would immediately become the Cowboys biggest interior defensive lineman and go a long ways in upgrading a talent deprived unit. He isn't a penetrating DT like Rod Marinelli typically likes in his defensive front, but does have some surprising quickness to his game for a player his size. His ability to anchor down against the run and collapse the pocket with his strength in the passing game would immensely help the Cowboys defense. I believe he would be a Day 1 starter at the 1-technique. In the third-round I decided to select Lil' Jordan Humphrey as Cole Beasley's replacement in the slot. At 6'4", 225 pounds, Humphrey is obviously bigger than the majority of slot receivers in the NFL, but that's one of things I find most intriguing about him. I like the mismatch he creates against the smaller nickel defensive backs around the league. Humphrey's most intriguing trait is his ability to pick up yards after the catch. His size makes it extremely difficult to bring down. I'm also intrigued by how he could be utilized in the Cowboys offense. He is more of a down the field threat than Beasley was and can play on the outside as well. He brings the added value of contributing on special teams as a return man as well. With the first of Dallas' fourth-round draft picks I decided to select Sione Takitaki for this Cowboys mock draft. He's someone they've shown an interest in already and actually met with him at the East-West shrine game. He is an intriguing linebacker prospect who played all of the field at BYU. With the departure of Damien Wilson and maybe even Sean Lee, the Cowboys need some more depth at LB. I don't think they have anyone ready to take over for Wilson on the strong side unless you want to move Jaylon Smith or believe Chris Covington is ready after not playing at all in 2018. That's why Takitaki makes sense to me. I think he can step in and be a Day 1 starter. With the second of the Cowboys fourth-round draft picks I wanted to find an upgrade to back up Ezekiel Elliott. Elijah Holyfield isn't the change of pace running back people often want to pair with Zeke, but I want someone who is capable of stepping in in case the unthinkable happens. I believe Holyfield is that guy. I love the way he approaches the game and the tenacity in which he runs the ball. Much like his dad, Evander Holyfield, he's looking to deliver a punch to the opposition. He's not a burner by any means, but he does have adequate speed. He's also pretty solid in pass protection and has shown to be a capable WR out of the backfield, although the sample size is small. I can't tell you how happy I would be if the Dallas Cowboys were able to get Jace Sternberger in the fifth-round. He's actually one of my favorite tight ends in the entire draft class and I believe he has the potential to be the TE1 with the Cowboys as a rookie. Even though Sternberger doesn't have a lot of collegiate production, he shows the traits needed to be a starting tight end in the NFL. 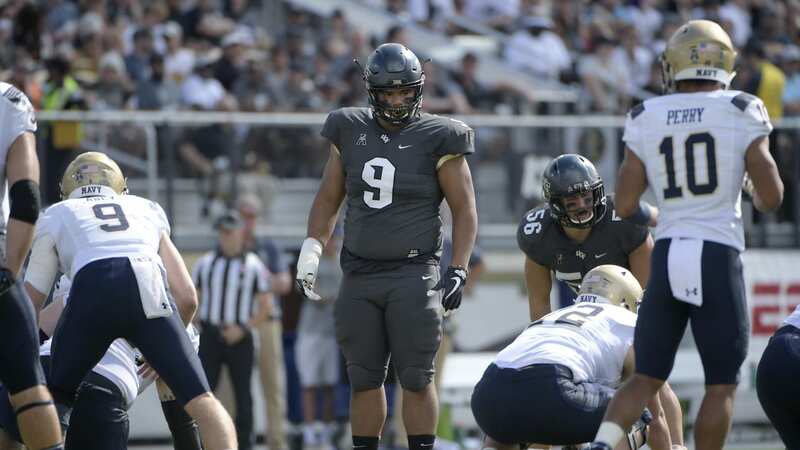 At 6'4", 250 pounds he has the prototypical size to play the position. He is a good in-line blocker, but will become even better once his technique improves. He also has rare athleticism for his size, which serves him well when he split out wide in the passing game. 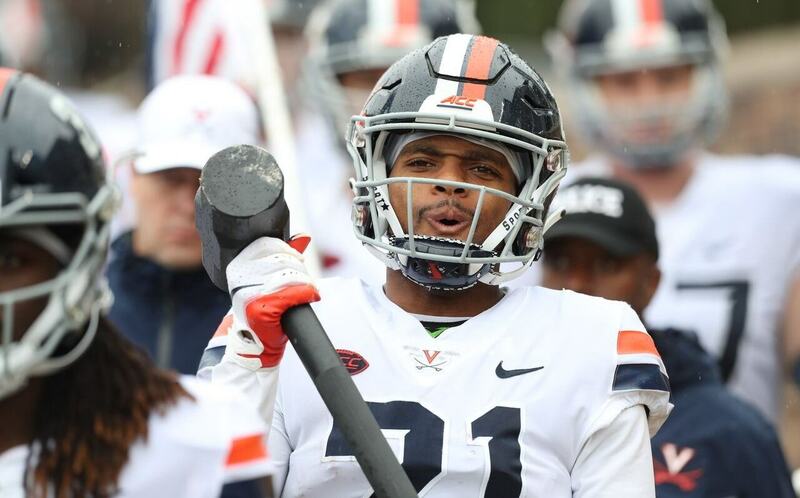 I'm not a big fan of the 2019 safety draft class as a whole, , which is why I waited until now to take one. If the Dallas Cowboys are able to get Mike Bell in the seventh round it would be an absolute steal. I really like his size (6'3", 200) and his athleticism. He played mostly free safety at Fresno State, but I believe he could be an interchangeable safety with the Cowboys. Xavier Woods is going to be one of the starting safeties in 2019, but who lines up next to him is up in the air. Jeff Heath didn't have a great 2018 season and is one of the reasons why the Cowboys are looking for an upgrade. I believe Mike Bell has a chance to start as a rookie. He is a solid tackler around the line of scrimmage and shows good range in coverage. His size would also serve him well matching up against opposing tight ends. What do you think of this 2019 Dallas Cowboys mock draft? Is Cole Beasley an Offseason Priority for Cowboys?